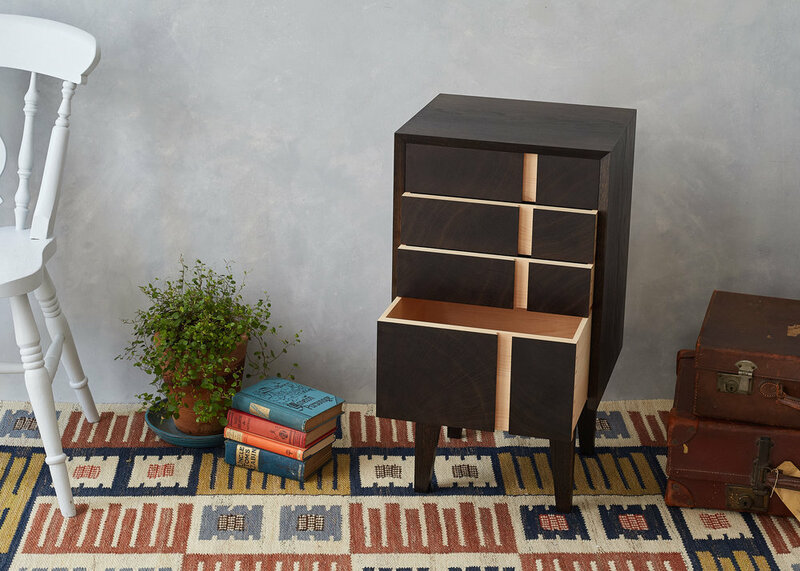 A small chest of drawers hand made using traditional construction. 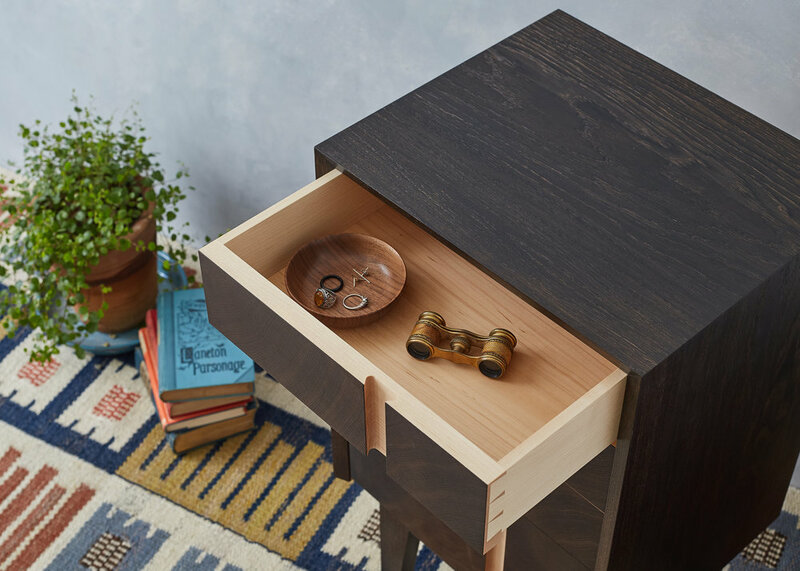 The Oak carcass has been ebonized using iron acetate, which reacts with the tannin in the wood to create a deep black colour whilst leaving some of the soft grain with its natural gold tones. Arctic white Maple is used for the drawers, creating an effect reminiscent of light spilling from within the cabinet. 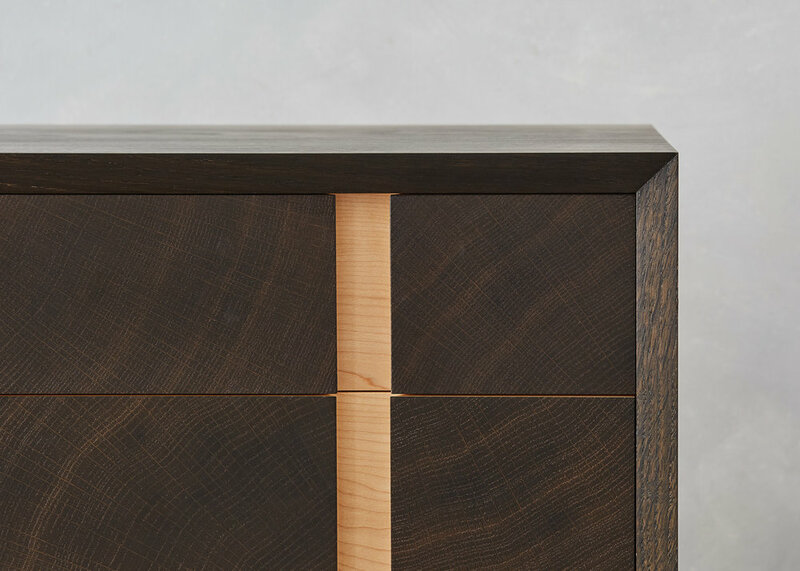 The Maple drawer fronts are veneered with a fumed oak end-grain veneer, creating a delicate but bold line of black against all the hand cut dovetailed drawers. The recessed handle can be position either left or right of centre.